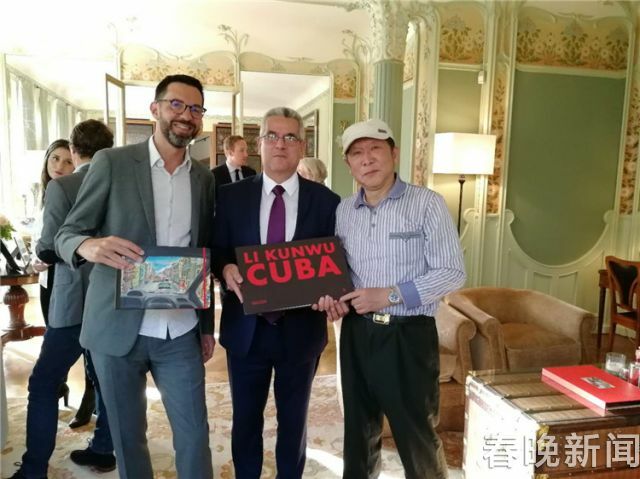 At 7 p.m. Paris time on May 31, Louis Vuitton held a wine party for its Cuba Travel Book, the author of which is Li Kunwu, an artist from Yunnan, China. 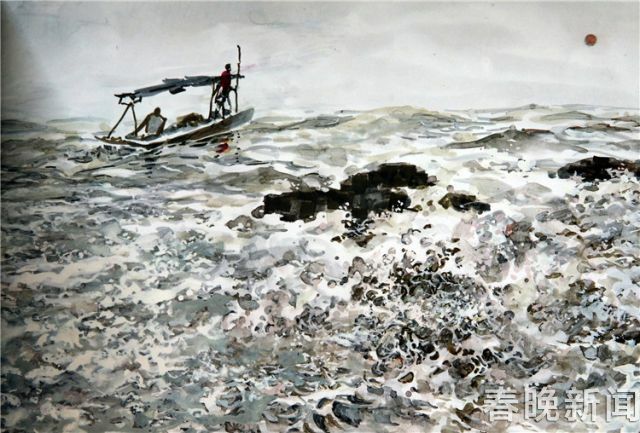 63-year-old Li Kunwu comes from Kunming, capital city of Yunnan province. 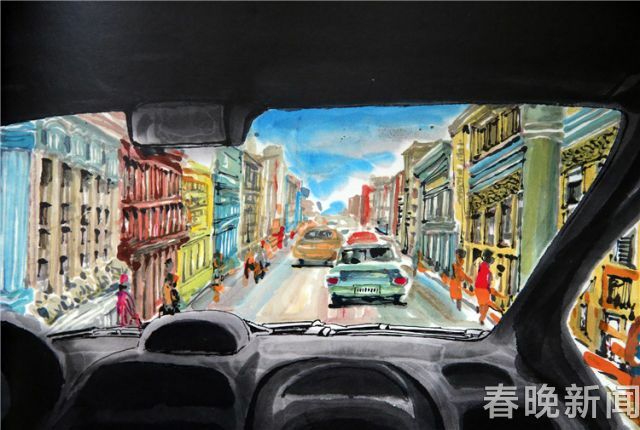 He specializes in capturing moments in daily life through cartoons and has won a number of international awards in France, Japan, the United States and Algeria during his decades-long career. When Li was in France at the end of 2014, he received an invitation from Louis Vuitton about the Travel Book series. Li got several choices from before he started his creation, and he finally decided to go to Cuba, a country he had dreamed of visiting for decades. 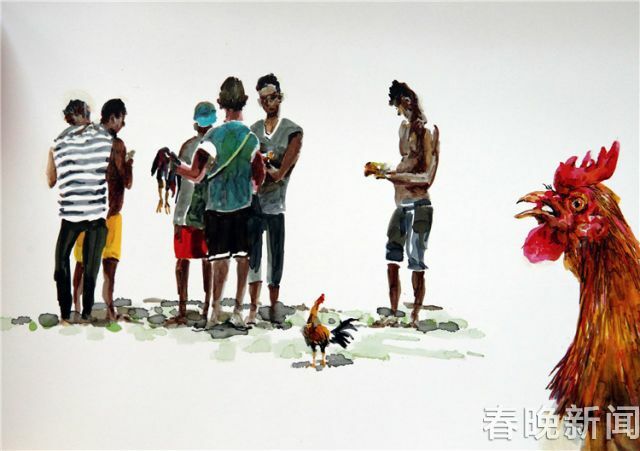 It took Li more than one year to complete the The Cuba Travel Book which contains more than 120 paintings. 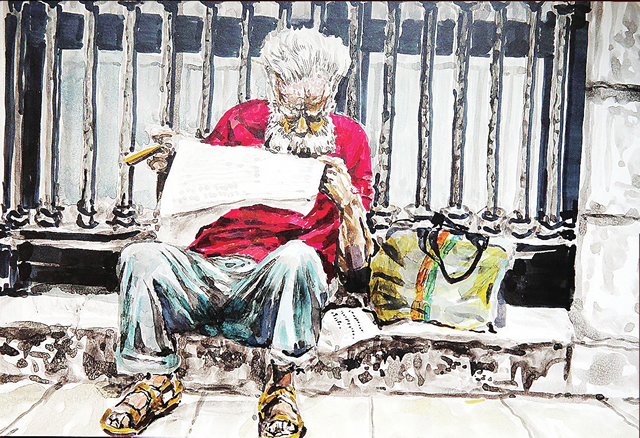 It depicts the varied architecture, natural scenery and records the lives of people. 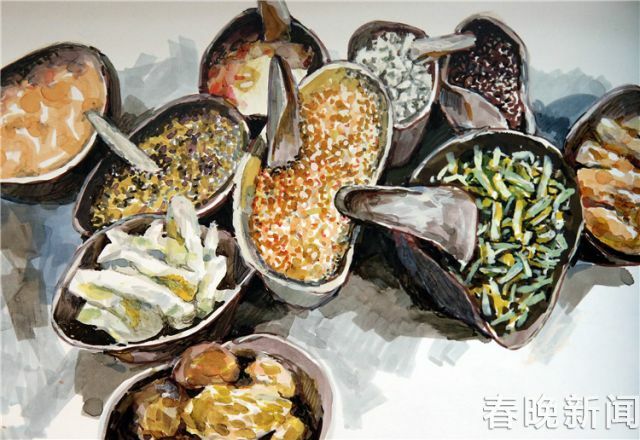 Among them, the diverse colors in the country captivated Li the most as he used to draw black and white cartoons. “For example, the cities are surrounded by lush forests. The whole land of Cuba is encircled by blue sea. Red and yellow are the main colors of people’s clothes, and the color gray symbolizes the history of ancient villages,” he said. Li said that Cuba is similar to Yunnan in latitude and climate to some extent. He shared a story during his visit. When he was in a bar in the country side, the bar owner asked him where he came from. Li pointed at his feet and replied: “If you dig a hole all the way through the earth, you may reach the living room of my house.” And everyone laughed.